The bell design together with the shaft driven tail, requires about the same flight skill as coaxil but yet it is so much more agile. Ideal for the beginner. * Bell Structure for mechanical gyro effect which makes it very easy to hover. * Shaft Driven Pitch tail for reliable and instantaneous response. Please note we have limited spares for this heli. The 4G6s helicopter. 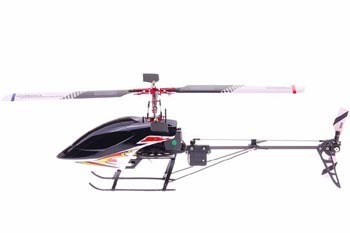 With 3 Axis Gyro stabilizing system, shaft driven tail and brushless motor. Brings you the best in both worlds in terms of responsive flight control combined with ultra stable flight. Designed for the intermediate pilot. 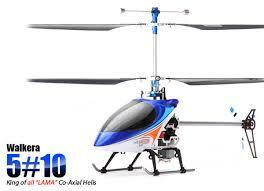 An excellent choice for beginner pilots since it's a good size yet ok to fly in small areas. Please note: we do not stock the spares for this Heli.